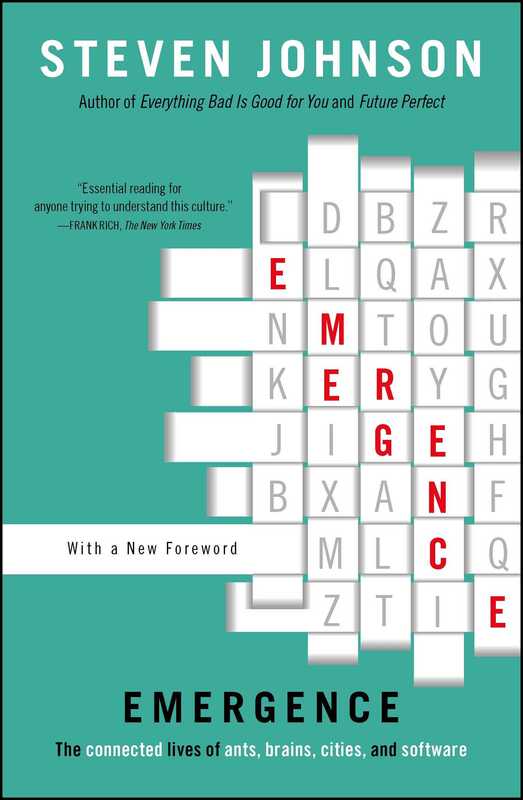 In the tradition of Being Digital and The Tipping Point, Steven Johnson, acclaimed as a "cultural critic with a poet's heart" (The Village Voice), takes readers on an eye-opening journey through emergence theory and its applications. Explaining why the whole is sometimes smarter than the sum of its parts, Johnson presents surprising examples of feedback, self-organization, and adaptive learning. How does a lively neighborhood evolve out of a disconnected group of shopkeepers, bartenders, and real estate developers? How does a media event take on a life of its own? How will new software programs create an intelligent World Wide Web? In August of 2000, a Japanese scientist named Toshiyuki Nakagaki announced that he had trained an amoebalike organism called slime mold to find the shortest route through a maze. Nakagaki had placed the mold in a small maze comprising four possible routes and planted pieces of food at two of the exits. Despite its being an incredibly primitive organism (a close relative of ordinary fungi) with no centralized brain whatsoever, the slime mold managed to plot the most efficient route to the food, stretching its body through the maze so that it connected directly to the two food sources. Without any apparent cognitive resources, the slime mold had "solved" the maze puzzle. For such a simple organism, the slime mold has an impressive intellectual pedigree. Nakagaki's announcement was only the latest in a long chain of investigations into the subtleties of slime mold behavior. For scientists trying to understand systems that use relatively simple components to build higher-level intelligence, the slime mold may someday be seen as the equivalent of the finches and tortoises that Darwin observed on the Galápagos Islands. How did such a lowly organism come to play such an important scientific role? That story begins in the late sixties in New York City, with a scientist named Evelyn Fox Keller. A Harvard Ph.D. in physics, Keller had written her dissertation on molecular biology, and she had spent some time exploring the nascent field of "nonequilibrium thermodynamics," which in later years would come to be associated with complexity theory. By 1968, she was working as an associate at Sloan-Kettering in Manhattan, thinking about the application of mathematics to biological problems. Mathematics had played such a tremendous role in expanding our understanding of physics, Keller thought -- so perhaps it might also be useful for understanding living systems. In the spring of 1968, Keller met a visiting scholar named Lee Segel, an applied mathematician who shared her interests. It was Segel who first introduced her to the bizarre conduct of the slime mold, and together they began a series of investigations that would help transform not just our understanding of biological development but also the disparate worlds of brain science, software design, and urban studies. If you're reading these words during the summer in a suburban or rural part of the world, chances are somewhere near you a slime mold is growing. Walk through a normally cool, damp section of a forest on a dry and sunny day, or sift through the bark mulch that lies on a garden floor, and you may find a grotesque substance coating a few inches of rotting wood. On first inspection, the reddish orange mass suggests that the neighbor's dog has eaten something disagreeable, but if you observe the slime mold over several days -- or, even better, capture it with time-lapse photography -- you'll discover that it moves, ever so slowly, across the soil. If the weather conditions grow wetter and cooler, you may return to the same spot and find the creature has disappeared altogether. Has it wandered off to some other part of the forest? Or somehow vanished into thin air, like a puddle of water evaporating? As it turns out, the slime mold (Dictyostelium discoideum) has done something far more mysterious, a trick of biology that had confounded scientists for centuries, before Keller and Segel began their collaboration. The slime mold behavior was so odd, in fact, that understanding it required thinking outside the boundaries of traditional disciplines -- which may be why it took a molecular biologist with a physics Ph.D.'s instincts to unravel the slime mold's mystery. For that is no disappearing act on the garden floor. The slime mold spends much of its life as thousands of distinct single-celled units, each moving separately from its other comrades. Under the right conditions, those myriad cells will coalesce again into a single, larger organism, which then begins its leisurely crawl across the garden floor, consuming rotting leaves and wood as it moves about. When the environment is less hospitable, the slime mold acts as a single organism; when the weather turns cooler and the mold enjoys a large food supply, "it" becomes a "they." The slime mold oscillates between being a single creature and a swarm. While slime mold cells are relatively simple, they have attracted a disproportionate amount of attention from a number of different disciplines -- embryology, mathematics, computer science -- because they display such an intriguing example of coordinated group behavior. Anyone who has ever contemplated the great mystery of human physiology -- how do all my cells manage to work so well together? -- will find something resonant in the slime mold's swarm. If we could only figure out how the Dictyostelium pull it off, maybe we would gain some insight on our own baffling togetherness. "I was at Sloan-Kettering in the biomath department -- and it was a very small department," Keller says today, laughing. While the field of mathematical biology was relatively new in the late sixties, it had a fascinating, if enigmatic, precedent in a then-little-known essay written by Alan Turing, the brilliant English code-breaker from World War II who also helped invent the digital computer. One of Turing's last published papers, before his death in 1954, had studied the riddle of "morphogenesis" -- the capacity of all life-forms to develop ever more baroque bodies out of impossibly simple beginnings. Turing's paper had focused more on the recurring numerical patterns of flowers, but it demonstrated using mathematical tools how a complex organism could assemble itself without any master planner calling the shots. "I was thinking about slime mold aggregation as a model for thinking about development, and I came across Turing's paper," Keller says now, from her office at MIT. "And I thought: Bingo!" For some time, researchers had understood that slime cells emitted a common substance called acrasin (also known as cyclic AMP), which was somehow involved in the aggregation process. But until Keller began her investigations, the conventional belief had been that slime mold swarms formed at the command of "pacemaker" cells that ordered the other cells to begin aggregating. In 1962, Harvard's B. M. Shafer showed how the pacemakers could use cyclic AMP as a signal of sorts to rally the troops; the slime mold generals would release the compounds at the appropriate moments, triggering waves of cyclic AMP that washed through the entire community, as each isolated cell relayed the signal to its neighbors. Slime mold aggregation, in effect, was a giant game of Telephone -- but only a few elite cells placed the original call. It seemed like a perfectly reasonable explanation. We're naturally predisposed to think in terms of pacemakers, whether we're talking about fungi, political systems, or our own bodies. Our actions seem governed for the most part by the pacemaker cells in our brains, and for millennia we've built elaborate pacemakers cells into our social organizations, whether they come in the form of kings, dictators, or city councilmen. Much of the world around us can be explained in terms of command systems and hierarchies -- why should it be any different for the slime molds? But Shafer's theory had one small problem: no one could find the pacemakers. While all observers agreed that waves of cyclic AMP did indeed flow through the slime mold community before aggregation, all the cells in the community were effectively interchangeable. None of them possessed any distinguishing characteristics that might elevate them to pacemaker status. Shafer's theory had presumed the existence of a cellular monarchy commanding the masses, but as it turned out, all slime mold cells were created equal. For the twenty years that followed the publication of Shafer's original essay, mycologists assumed that the missing pacemaker cells were a sign of insufficient data, or poorly designed experiments: The generals were there somewhere in the mix, the scholars assumed -- they just didn't know what their uniforms looked like yet. But Keller and Segel took another, more radical approach. Turing's work on morphogenesis had sketched out a mathematical model wherein simple agents following simple rules could generate amazingly complex structures; perhaps the aggregations of slime mold cells were a real-world example of that behavior. Turing had focused primarily on the interactions between cells in a single organism, but it was perfectly reasonable to assume that the math would work for aggregations of free-floating cells. And so Keller started to think: What if Shafer had it wrong all along? What if the community of slime mold cells were organizing themselves? What if there were no pacemakers? Keller and Segel's hunch paid off dramatically. While they lacked the advanced visualization tools of today's computers, the two scratched out a series of equations using pen and paper, equations that demonstrated how slime cells could trigger aggregation without following a leader, simply by altering the amount of cyclic AMP they released individually, then following trails of the pheromone that they encountered as they wandered through their environment. If the slime cells pumped out enough cyclic AMP, clusters of cells would start to form. Cells would begin following trails created by other cells, creating a positive feedback loop that encouraged more cells to join the cluster. If each solo cell was simply releasing cyclic AMP based on its own local assessment of the general conditions, Keller and Segel argued in a paper published in 1969, then the larger slime mold community might well be able to aggregate based on global changes in the environment -- all without a pacemaker cell calling the shots. "The response was very interesting," Keller says now. "For anyone who understood applied mathematics, or had any experience in fluid dynamics, this was old hat to them. But to biologists, it didn't make any sense. I would give seminars to biologists, and they'd say, 'So? Where's the founder cell? Where's the pacemaker?' It didn't provide any satisfaction to them whatsoever." Indeed, the pacemaker hypothesis would continue as the reigning model for another decade, until a series of experiments convincingly proved that the slime mold cells were organizing from below. 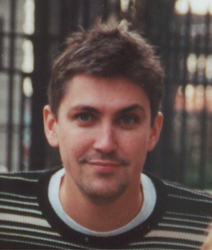 "It amazes me how difficult it is for people to think in terms of collective phenomenon," Keller says today. Thirty years after the two researchers first sketched out their theory on paper, slime mold aggregation is now recognized as a classic case study in bottom-up behavior. Keller's colleague at MIT Mitch Resnick has even developed a computer simulation of slime mold cells aggregating, allowing students to explore the eerie, invisible hand of self-organization by altering the number of cells in the environment, and the levels of cyclic AMP distributed. First-time users of Resnick's simulation invariably say that the on-screen images -- brilliant clusters of red cells and green pheromone trails -- remind them of video games, and in fact the comparison reveals a secret lineage. Some of today's most popular computer games resemble slime mold cells because they are loosely based on the equations that Keller and Segel formulated by hand in the late sixties. We like to talk about life on earth evolving out of the primordial soup. We could just as easily say that the most interesting digital life on our computer screens today evolved out of the slime mold. You can think of Segel and Keller's breakthrough as one of the first few stones to start tumbling at the outset of a landslide. Other stones were moving along with theirs -- some of whose trajectories we'll follow in the coming pages -- but that initial movement was nothing compared to the avalanche that followed over the next two decades. At the end of its course, that landslide had somehow conjured up a handful of fully credited scientific disciplines, a global network of research labs and think tanks, and an entire patois of buzzwords. Thirty years after Keller challenged the pacemaker hypothesis, students now take courses in "self-organization studies," and bottom-up software helps organize the Web's most lively virtual communities. But Keller's challenge did more than help trigger a series of intellectual trends. It also unearthed a secret history of decentralized thinking, a history that had been submerged for many years beneath the weight of the pacemaker hypothesis and the traditional boundaries of scientific research. People had been thinking about emergent behavior in all its diverse guises for centuries, if not millennia, but all that thinking had consistently been ignored as a unified body of work -- because there was nothing unified about its body. There were isolated cells pursuing the mysteries of emergence, but no aggregation. Indeed, some of the great minds of the last few centuries -- Adam Smith, Friedrich Engels, Charles Darwin, Alan Turing -- contributed to the unknown science of self-organization, but because the science didn't exist yet as a recognized field, their work ended up being filed on more familiar shelves. From a certain angle, those taxonomies made sense, because the leading figures of this new discipline didn't even themselves realize that they were struggling to understand the laws of emergence. They were wrestling with local issues, in clearly defined fields: how ant colonies learn to forage and built nests; why industrial neighborhoods form along class lines; how our minds learn to recognize faces. You can answer all of these questions without resorting to the sciences of complexity and self-organization, but those answers all share a common pattern, as clear as the whorls of a fingerprint. But to see it as a pattern you needed to encounter it in several contexts. Only when the pattern was detected did people begin to think about studying self-organizing systems on their own merits. Keller and Segel saw it in the slime mold assemblages; Jane Jacobs saw it in the formation of city neighborhoods; Marvin Minsky in the distributed networks of the human brain. What features do all these systems share? In the simplest terms, they solve problems by drawing on masses of relatively stupid elements, rather than a single, intelligent "executive branch." They are bottom-up systems, not top-down. They get their smarts from below. In a more technical language, they are complex adaptive systems that display emergent behavior. In these systems, agents residing on one scale start producing behavior that lies one scale above them: ants create colonies; urbanites create neighborhoods; simple pattern-recognition software learns how to recommend new books. The movement from low-level rules to higher-level sophistication is what we call emergence. Imagine a billiard table populated by semi-intelligent, motorized billiard balls that have been programmed to explore the space of the table and alter their movement patterns based on specific interactions with other balls. For the most part, the table is in permanent motion, with balls colliding constantly, switching directions and speed every second. Because they are motorized, they never slow down unless their rules instruct them to, and their programming enables them to take unexpected turns when they encounter other balls. Such a system would define the most elemental form of complex behavior: a system with multiple agents dynamically interacting in multiple ways, following local rules and oblivious to any higher-level instructions. But it wouldn't truly be considered emergent until those local interactions resulted in some kind of discernible macrobehavior. Say the local rules of behavior followed by the balls ended up dividing the table into two clusters of even-numbered and odd-numbered balls. That would mark the beginnings of emergence, a higher-level pattern arising out of parallel complex interactions between local agents. The balls aren't programmed explicitly to cluster in two groups; they're programmed to follow much more random rules: swerve left when they collide with a solid-colored; accelerate after contact with the three ball; stop dead in their tracks when they hit the eight ball; and so on. Yet out of those low-level routines, a coherent shape emerges. Does that make our mechanized billiard table adaptive? Not really, because a table divided between two clusters of balls is not terribly useful, either to the billiard balls themselves or to anyone else in the pool hall. But, like the proverbial Hamlet-writing monkeys, if we had an infinite number of tables in our pool hall, each following a different set of rules, one of those tables might randomly hit upon a rule set that would arrange all the balls in a perfect triangle, leaving the cue ball across the table ready for the break. That would be adaptive behavior in the larger ecosystem of the pool hall, assuming that it was in the interest of our billiards system to attract players. The system would use local rules between interacting agents to create higher-level behavior well suited to its environment. Emergent complexity without adaptation is like the intricate crystals formed by a snowflake: it's a beautiful pattern, but it has no function. The forms of emergent behavior that we'll examine in this book show the distinctive quality of growing smarter over time, and of responding to the specific and changing needs of their environment. In that sense, most of the systems we'll look at are more dynamic than our adaptive billiards table: they rarely settle in on a single, frozen shape; they form patterns in time as well as space. A better example might be a table that self-organizes into a billiards-based timing device: with the cue ball bouncing off the eight ball sixty times a minute, and the remaining balls shifting from one side of the table to another every hour on the hour. That might sound like an unlikely system to emerge out of local interactions between individual balls, but your body contains numerous organic clocks built out of simple cells that function in remarkably similar ways. An infinite number of cellular or billiard-ball configurations will not produce a working clock, and only a tiny number will. So the question becomes, how do you push your emergent system toward clocklike behavior, if that's your goal? How do you make a self-organizing system more adaptive? That question has become particularly crucial, because the history of emergence has entered a new phase in the past few years, one that should prove to be more revolutionary than the two phases before it. In the first phase, inquiring minds struggled to understand the forces of self-organization without realizing what they were up against. In the second, certain sectors of the scientific community began to see self-organization as a problem that transcended local disciplines and set out to solve that problem, partially by comparing behavior in one area to behavior in another. By watching the slime mold cells next to the ant colonies, you could see the shared behavior in ways that would have been unimaginable watching either on its own. Self-organization became an object of study in its own right, leading to the creation of celebrated research centers such as the Santa Fe Institute, which devoted itself to the study of complexity in all its diverse forms. But in the third phase -- the one that began sometime in the past decade, the one that lies at the very heart of this book -- we stopped analyzing emergence and started creating it. We began building self-organizing systems into our software applications, our video games, our art, our music. We built emergent systems to recommend new books, recognize our voices, or find mates. For as long as complex organisms have been alive, they have lived under the laws of self-organization, but in recent years our day-to-day life has become overrun with artificial emergence: systems built with a conscious understanding of what emergence is, systems designed to exploit those laws the same way our nuclear reactors exploit the laws of atomic physics. Up to now, the philosophers of emergence have struggled to interpret the world. But they are now starting to change it. What follows is a tour of fields that aren't usually gathered between the same book jacket covers. We'll look at computer games that simulate living ecologies; the guild system of twelfth-century Florence; the initial cell divisions that mark the very beginning of life; and software that lets you see the patterns of your own brain. What unites these different phenomena is a recurring pattern and shape: a network of self-organization, of disparate agents that unwittingly create a higher-level order. At each scale, you can see the imprint of those slime mold cells converging; at each scale, the laws of emergence hold true. This book roughly follows the chronology of the three historical phases. The first section introduces one of the emergent world's crowning achievements -- the colony behavior of social insects such as ants and termites -- and then goes back to trace part of the history of the decentralized mind-set, from Engels on the streets of Manchester to the new forms of emergent software being developed today. The second section is an overview of emergence as we currently understand it; each of the four chapters in the section explores one of the field's core principles: neighbor interaction, pattern recognition, feedback, and indirect control. The final section looks to the future of artificial emergence and speculates on what will happen when our media experiences and political movements are largely shaped by bottom-up forces, and not top-down ones. Certain shapes and patterns hover over different moments in time, haunting and inspiring the individuals living through those periods. The epic clash and subsequent resolution of the dialectic animated the first half of the nineteenth century; the Darwinian and social reform movements scattered web imagery through the second half of the century. The first few decades of the twentieth century found their ultimate expression in the exuberant anarchy of the explosion, while later decades lost themselves in the faceless regimen of the grid. You can see the last ten years or so as a return to those Victorian webs, though I suspect the image that has been burned into our retinas over the past decade is more prosaic: windows piled atop one another on a screen, or perhaps a mouse clicking on an icon. These shapes are shorthand for a moment in time, a way of evoking an era and its peculiar obsessions. For individuals living within these periods, the shapes are cognitive building blocks, tools for thought: Charles Darwin and George Eliot used the web as a way of understanding biological evolution and social struggles; a half century later, the futurists embraced the explosions of machine-gun fire, while Picasso used them to re-create the horrors of war in Guernica. The shapes are a way of interpreting the world, and while no shape completely represents its epoch, they are an undeniable component of the history of thinking. When I imagine the shape that will hover above the first half of the twenty-first century, what comes to mind is not the coiled embrace of the genome, or the etched latticework of the silicon chip. It is instead the pulsing red and green pixels of Mitch Resnick's slime mold simulation, moving erratically across the screen at first, then slowly coalescing into larger forms. The shape of those clusters -- with their lifelike irregularity, and their absent pacemakers -- is the shape that will define the coming decades. I see them on the screen, growing and dividing, and I think: That way lies the future. Michiko Kakutani The New York Times Book Review Johnson once again demonstrates his range as a cultural historian....stimulating reading. Edward Dolnick The Washington Post Johnson is a clear, lively writer with an aversion to jargon and a knack for crafting offbeat analogies....clever and thought-provoking. Tom Standage The Economist A dizzying, dazzling romp through fields as disparate as urban planning, computer game design, neurology, and control theory. David Pogue The New York Times Johnson opens our eyes to swarm-logic behavior in our own lives...with wit, clarity, and enthusiasm.